Blu-Ray like BD is a more commonly known name for the Blu-Ray Disc developed and championed by Sony as the successor to the DVD format. With up to 50GB of storage available on a dual layer disc this format is typically used for Hi-Def Video and data storage applications. Where did the name Blu-Ray come from? The reading and writing of the Blu-Ray disc is taken care of by a blue laser and this is what led to the naming of the disc format. To look at the Blu-Ray disc is identical in it’s physical shape and size to a DVD or audio CD. 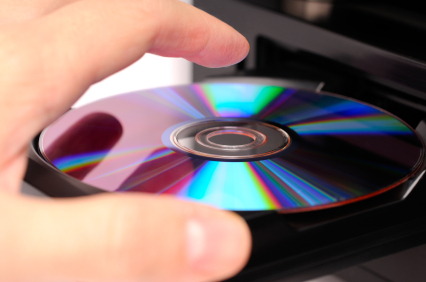 The Blu-Ray laser operates on a shorter wave length to traditional DVDs which use a red laser and this goes some way to allowing the storage of nearly 6 times as much data as a DVD. Who is responsible for the Blu-Ray format? Blu-Ray was triumphant in a format war that mirrored the 80′s Betamax vs VHS tape formats. HD DVD was the other contender in the Hi-Definition format war but in February 2008 it’s main supporter Toshiba threw in the towel which brought an end to battle. The Blu-Ray Disc Association is a group of manufacturers and film studios who are tasked with developing the Blu-Ray format going forward. What are the Blu-Ray Disc technical specifications? Are Blu-Ray Discs Region Encoded? Like the DVD, Blu-Ray discs can be region encoded to restrict the availability of certain titles to region specific hardware. C: Central Asia, East Asia (Mainland China and Mongolia only), South Asia, central Eurasia (including Russia) and their dependencies. How long does it take to record a Blu-Ray disc? Where can I learn more about Blu-Ray?